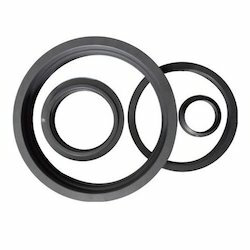 Prominent & Leading Manufacturer from Navi Mumbai, we offer carbon rings. We provide following Carbon Rings for Cement Industry. it has been progressively developed by us with experience and research over the last 30 years. They are used extensively where contamination from oil or grease is undesirable. Carbon Bearings are giving long life and shafts were highly polished with negligible wear, no maintenance or grease being required. Carbon Rings & Carbon Bearings are being used in most of all the Textile Machinery, which are self-lubricating chemically inert, low weight, high thermal conductivity and consistency to temperature changes.